Every week thousands of new apps and games are released and its hard to keep track of the best ones. Today, we take a look at the top Android apps of the week. Facebook Lite – Facebook has just released a very small and lightweight app that is only 1 MB in size. It was designed for 2G networks or areas that don’t have great or congested wireless internet access. Angry Birds Fight! – Get ready for a showdown in Angry Birds Fight! – a match-3 frenzy where you take on other players in real-time battles of strategic, bird swapping agility! Join your favorite flock on a journey to match tons of addictive feathery puzzles! 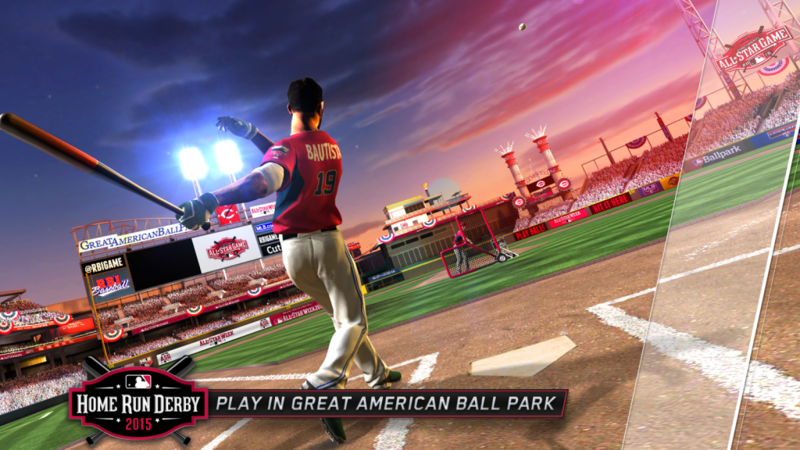 MLB.com Home Run Derby 15 – Welcome to Cincinnati and Great American Ball Park, home of the 2015 All-St015 features a completely revamped UI, improved home run celebrations and dynamic time-of-day lighting. Popcorn Buzz: Free Group Calls – From the creators of Line comes a new app that is designed for group calls up to 200 people. Share your daily life with your friends, or get together and talk with the whole family, even if they live far away! Nextplus Free SMS Text + Calls – Nextplus is the free next-generation communications app from the makers of textPlus. We’re taking your messaging experience to the next level with animated GIF support, stickers, instant delivery, online user status, voice notes and a ton of new features. One More Dash – As a casual fan of developer SMG’s other games, One More Dash [Free] was one of the first things I downloaded this week. I played a few rounds, and it seemed pretty good. Alas, there were a lot of other games to potentially review, and it fell by the wayside. As usual, some of them turned out to be great, and some were not so great. As I closed one app and flicked through my homescreen to find another, my eyes kept falling on Dash. I began playing it more and more, and it slowly began to take over my free time. Don’t be put off by it’s simple appearance, readers. This one’s a keeper. TERMINATOR GENISYS: REVOLUTION – The year is 2028 and humanity is on the brink of extinction. Help John Connor in the war to save the human race in the official game of the new movie Terminator Genisys. Escape from the Skynet prison camp and fight the machines in this action-packed sci-fi shooter! Green Ninja: Year of the Frog – It’s the year of the frog, the celebrations are in full swing and you are on the menu! You escape the clutches of the evil ninjas. Now you must take revenge using your unstoppable kick. PlayTube – PlayTube is a music search and discovery service that designed to bring you best streaming experience. Why should you pay and download music if you can stream whatever you want, wherever you are with the PlayTube app.